Thermal springs flow abundantly throughout the Colorado Rocky Mountains. Five premier hot springs destinations in the western part of the state—Chaffee County, Pagosa Springs, Ouray County, Glenwood Springs and Steamboat Springs—have come together to form the Colorado Historic Hot Springs Loop, offering 19 unique facilities. Soaking in super-heated water saturated with minerals offers many wellness benefits. Practiced for thousands of years, balneology is the art and science of baths and bathing in natural mineral waters for health and wellness. This type of therapy helps to revitalize the skin, calm nerves and detoxify the body. It has been known to reduce the symptoms of arthritis, fibromyalgia and depression, as well as locomotor and circulatory diseases. The high mineral content absorbs into the body, helping to eliminate toxins, increase blood flow and circulation, and boost metabolism. The warmth has a relaxing, soothing effect on muscles and the mind. Ultimately, the goal is rejuvenation and spending time with friends and family. These five hot springs destinations will enhance your next trip to western Colorado. Mount Elbert, the highest point in Colorado at 14,433 feet, towers over Chaffee County. Fifteen “14ers” (14,000-foot peaks) dominate this area along the Continental Divide, creating prime terrain for the eruption of hot water from the earth. The same topography formed the Arkansas, the state’s most popular whitewater rafting river. 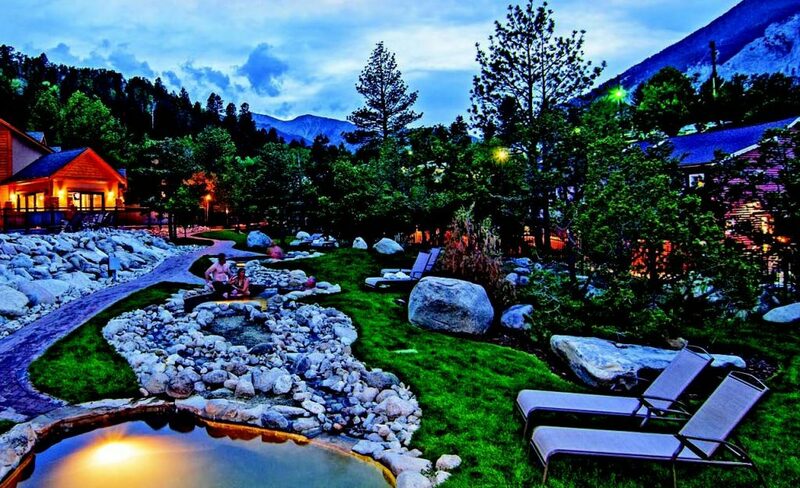 Outside of Buena Vista, Mount Princeton Hot Springs Resort is a full-service retreat with five geothermal pools, a spa and club, 30 log cabins and 40+ hotel rooms. Wade into Chalk Creek to access the natural hot pots. The rock-lined pools at Cottonwood Hot Springs Inn & Spa first opened in 1878, historically noted for their medicinal and therapeutic value. One of the largest indoor hot spring pools in the country, Salida Hot Springs Aquatic Center features clear, aroma-free water in the zero-depth-entry pool, lap lanes and private baths. For a completely private hot springs experience, make reservations at the cozy Alpine Hotsprings Hideaway, Antero Hot Springs Cabins or Creekside Hot Springs Cabin. Terraced along the bank of the San Juan River are the 23 mineral pools of The Springs Resort & Spa. Each spot is a different size and temperature. The Lobster Pot sizzles at 110°F. Mineral deposits have built up for centuries, creating huge iron-colored formations. The rope bridge over the pond allows close inspection. Hotel guests can take a dip any time with 24-hour access. For a hip vibe, go to Overlook Hot Springs Spa. Inside, ornate architectural moldings and soaring ceilings surround large soaking tubs and a cold plunge. Rooftop tubs set this spa apart from all others. Healing Waters Resort & Spa offers a large pool, tub and indoor baths for concentrated mineral immersion. Affordable motel rooms are onsite. Ouray is a Switzerland look-alike. Brightly painted Victorian buildings line Main Street. Lodges resemble chalets. Ouray has earned the title of Jeeping Capital of the World. And the Ouray Ice Park offers the best ice climbing in Colorado. Odorless, sulfur-free thermal waters bubble up everywhere. 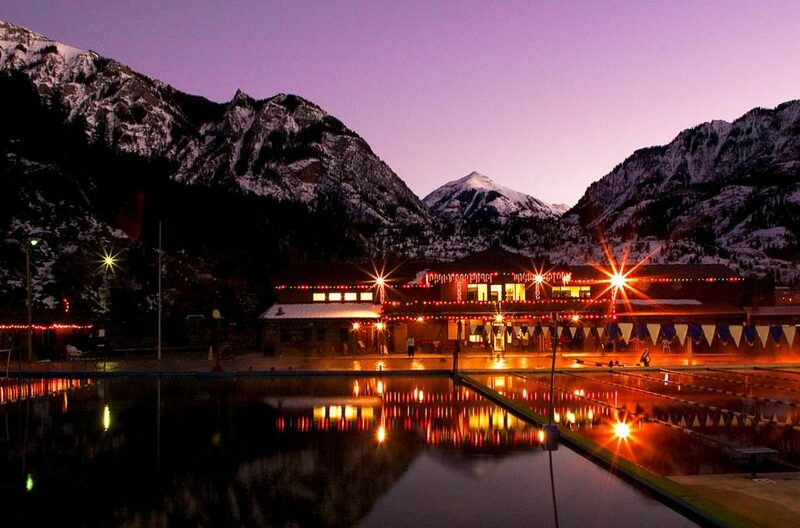 The iconic Ouray Hot Springs Pool & Fitness Center provides family fun. This 90-year-old facility is about to undergo a major renovation and will unveil the modern improvements in 2017. Underneath the Historic Wiesbaden Hot Springs Spa & Lodgings is a vaporcave where water pours over a large mineral deposit formation into a shallow soaking pool deep inside an underground chamber. For complete solitude, rent the Lorelei outdoor enclosure. In the 1800s, Ute Indian Chief Ouray used these waters for their curative powers. Guests of Box Canyon Lodge & Hot Springs have exclusive access to wooden tubs that stair-step the hillside. Twin Peaks Lodge & Hot Springs also provides steamy pools for its guests. 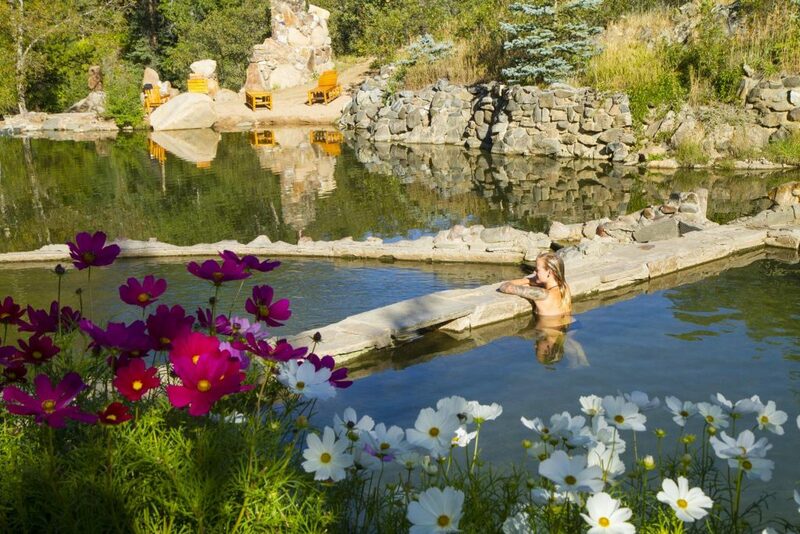 Orvis Hot Springs in nearby Ridgway has created an oasis with lush landscaping. Several ponds and waterfalls are strategically positioned throughout the property; clothing optional. Whether it’s cold or hot, water is central to Glenwood Springs. The Colorado River runs directly through town. 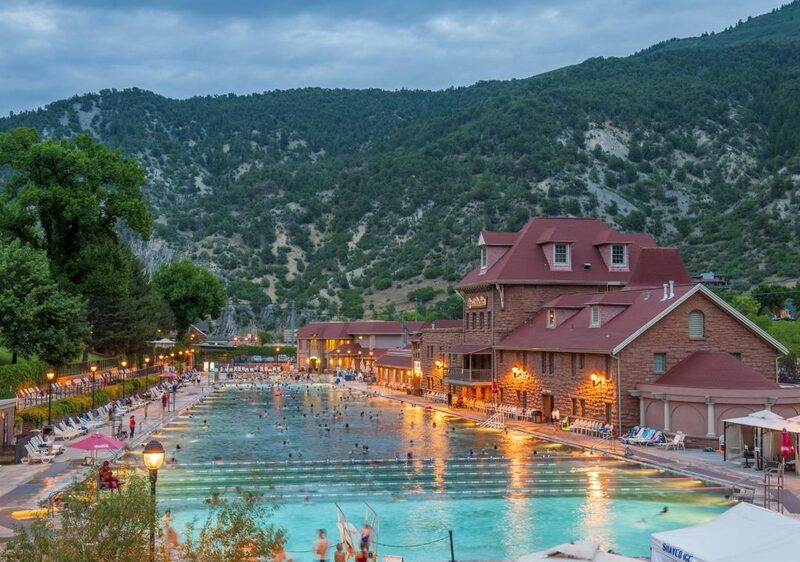 At two blocks long, Glenwood Hot Springs is considered to be the world’s largest mineral hot springs pool. The source, Yampah Spring, flows at 3.5 million gallons of water daily. The award-winning spa and 107-room lodge are geothermally heated. 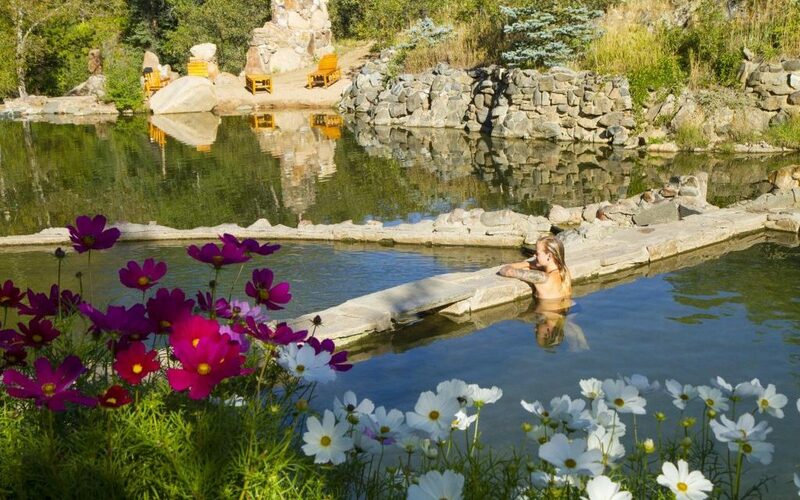 The new Iron Mountain Hot Springs boasts 16 naturally shaped pools, all varying in temperature and size. Yampah Spa & Vapor Caves has naturally-occurring mineral steam baths, a rare underground feature. Doc Holliday came for the healing vapors to treat his tuberculosis. Fans pay homage to the dentist/gunslinger by making the trek to his memorial in Linwood Cemetery or by sipping a beer under the Doc Holliday Saloon neon gun sign. The mountain-top Glenwood Caverns Adventure Park combines spectacular cave tours and thrill ride amusements with panoramic views. For live entertainment, the Glenwood Vaudeville Revue keeps visitors in stitches with its hilarious comedy show. There is a true Western vibe here so channel your inner-cowboy. Hang your hat at the Old Town Hot Springs multi-use complex with numerous hot pools, two waterslides, a climbing wall, massage therapists and a fitness center. In summertime, add a party deck, cabana rentals and kids’ water activities. 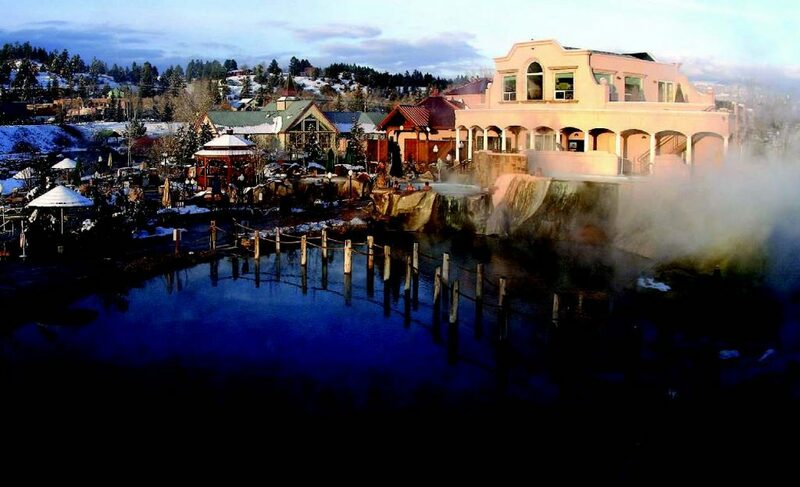 For a rustic wilderness setting, soak at the creekside Strawberry Park Hot Springs built using unique stone masonry. Stay in a cabin or campsite right on the property. Fish Creek Falls is an easy quarter-mile walk. Clear, fresh high alpine water roars down Fish Creek Canyon, spilling over the magnificent 280-foot waterfall. Continue up the trail to view the second falls for a 5-mile roundtrip adventure. 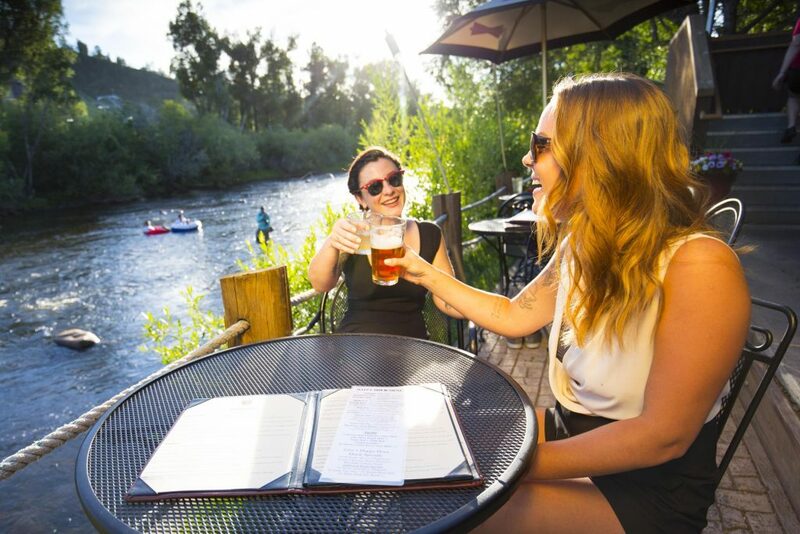 Float downstream on an inner-tube along the refreshing Yampa River. Festivals celebrate hot air balloons, rodeos, eats, libations and tunes. Wintertime brings famous Champagne Powder® to Ski Town, USA®. Howelsen Hill is the largest natural ski jumping complex in North America and Colorado’s oldest ski area in continuous use for over 100 years. This region is quintessential Colorado. Each town is surrounded by national forests with majestic mountain ranges and cascading waterfalls that provide gorgeous scenery year-round. 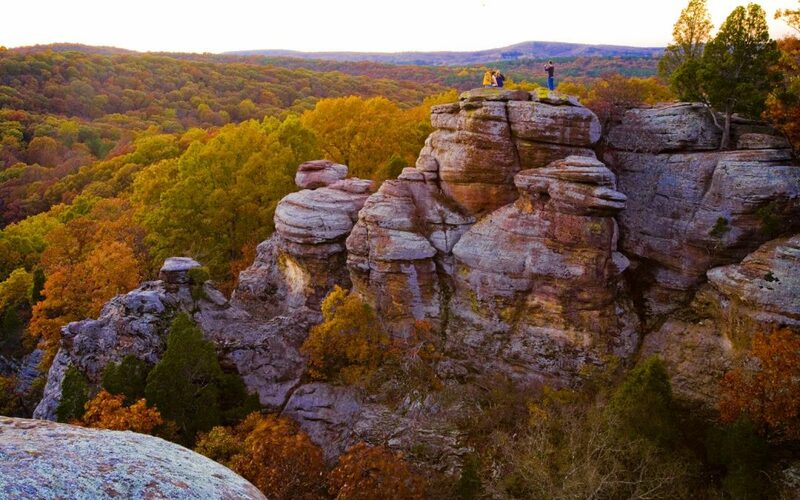 There are hundreds of miles of trails for hiking, biking and four-wheeling. Fly fishing, tubing, kayaking, standup paddling, and whitewater rafting are popular pastimes on the many rivers. Brilliant fall colors lure leaf-peepers. Snow sports like alpine and Nordic skiing, snowboarding, ice climbing, and snowmobiling are just a few of the winter activities. Every Colorado ski area is within close proximity of a hot springs. 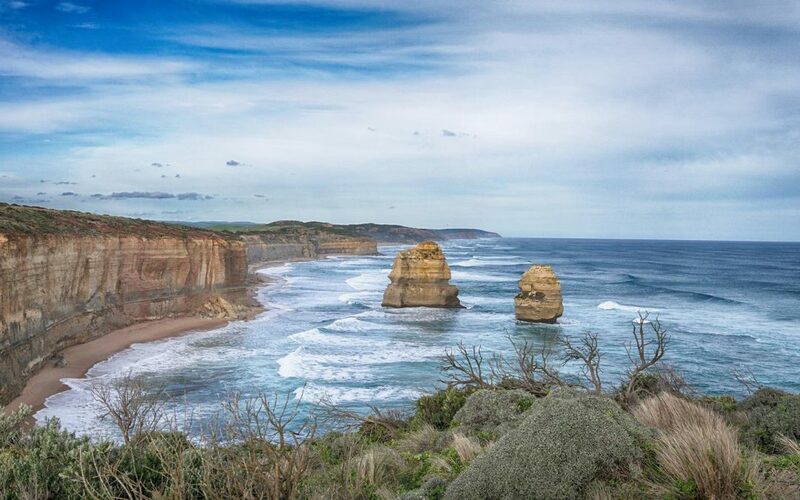 All four national parks in Colorado—Rocky Mountain, Great Sand Dunes, Mesa Verde and Black Canyon of the Gunnison—are located in this part of the state. There are also six notable national monuments: Browns Canyon between Buena Vista and Salida, Chimney Rock by Pagosa Springs, Canyons of the Ancients and Hovenweep in the Four Corners area, Colorado National Monument west of Grand Junction and Dinosaur in the northwest corner. The ultimate hot springs itinerary is a 722-mile route along several roads designated as Colorado Scenic Byways. 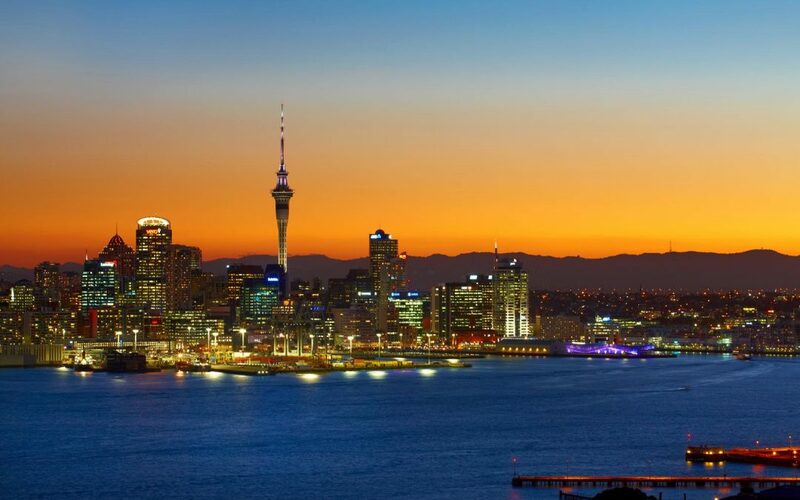 Starting from any of the five resort towns, take a week to 10 days to really experience these special places. 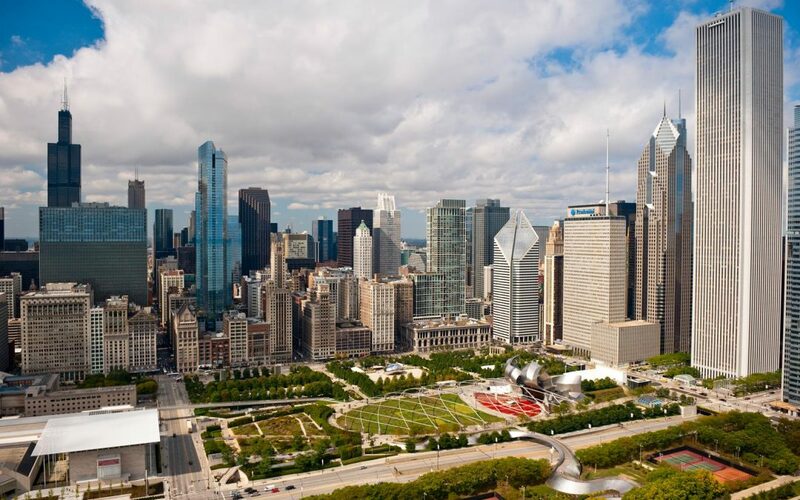 From Denver, begin the trip in Chaffee County, the communities of Buena Vista, Nathrop, and Salida, along the Top of the Rockies and Collegiate Peaks byways. Then travel 140 mountainous miles south to Pagosa Springs. After weaving through the San Juan Skyway and the Million Dollar Highway, in 130 miles Ouray and Ridgway are the next stops. The West Elk Loop goes 175 miles through wine country, fruit stands, orchards, and organic farms on the way to Glenwood Springs. Finally, 114 miles of canyons and ranchlands to Steamboat Springs completes the journey. Every one of these 19 hot springs is different so it’s like a treasure hunt. Two are in the record-books. Usually a swimsuit is required, but not always. A few are fun-filled, others calm and serene. Some cater to kids, others attract individuals or couples. All focus on happiness and well being.